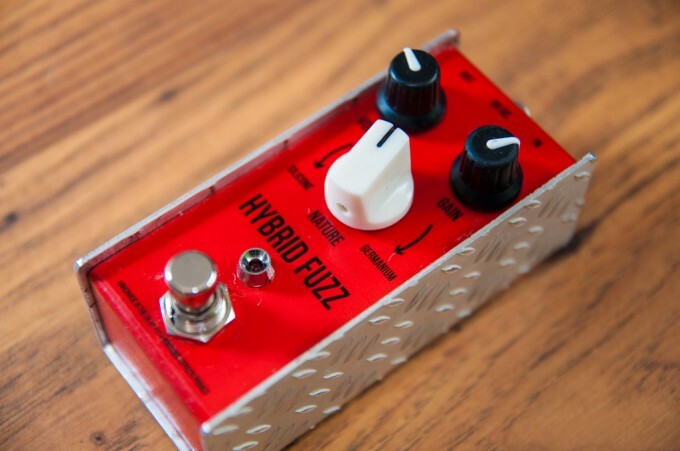 Great pedal to with a knob to blend between smooth germanium vintage and aggressive silicone fuzz. Uses a rare NOS germanium transistor. Built in a custom fabricated narrow enclosure to save pedal board space. Perfect for everything from Gilmour to Hendrix.